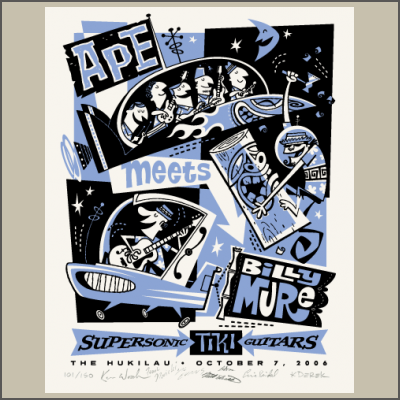 Things got CRAZY at the Hukilau when APE was joined by legendary guitarist Billy Mure for a Supersonic set that was way out! Created by our own Derek Yaniger! This two color serigraph measures 15" x 12" and is signed and numbered by the artist and APE in a limited edition of 150.